The New York Tribune Building was located at Nassau Street at Spruce Street in New York and was completed in 1875. 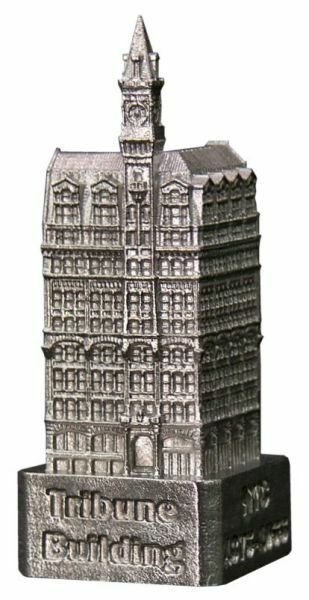 This building was designed by Richard Morris Hunt and stood 260 feet tall with 9 floors. The Tribune was the tallest office building in New York when built and was demolished in 1966 to make way for a Pace College expansion project. This pewter replica stands 2-1/8 inches tall and is finished in new pewter. This model's scale is 1 inch = 150 feet.